Have you tried to increase your blog traffic with every method, and your blog traffic did not increase? Well, i have a perfect solution for you. I am going to teach you how to increase your traffic with Growtraffic. 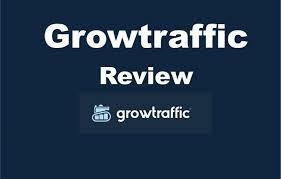 Growtraffic is a company that offer free traffic to blog sites. Fill out the form (copy the URL of the published article about Growtraffic you published on your blog and paste it in the form). And you're sure the traffic ain't bot traffic?